I picture him at Harvard slouched in a leather chair, a penny loafer dangling from one foot, shoulders scrunched up toward his massive head—his hands framing a point in the air . . . one of many True cigarettes between his fingers. He was roundly damned for protesting the appointment of Louis D. Brandeis to the U.S. Supreme Court for “lack of judicial temperament,” for proposing a quota for Jewish students at Harvard as an anti-anti-Semitic move during the Ku Klux rampage of 1922, for barring Negroes from freshman dormitories. There is, most unfortunately, a rapidly growing anti-Semitic feeling in this country, causing—and no doubt in part caused by—a strong race feeling on the part of the Jews themselves. . . . If every college in the country would take a limited proportion of Jews, I suspect we should go a long way toward eliminating race feeling among the students . . .
Benesch, in response, took offense at Lowell’s claim that Jewish “race feeling” was the cause of anti-Semitism. 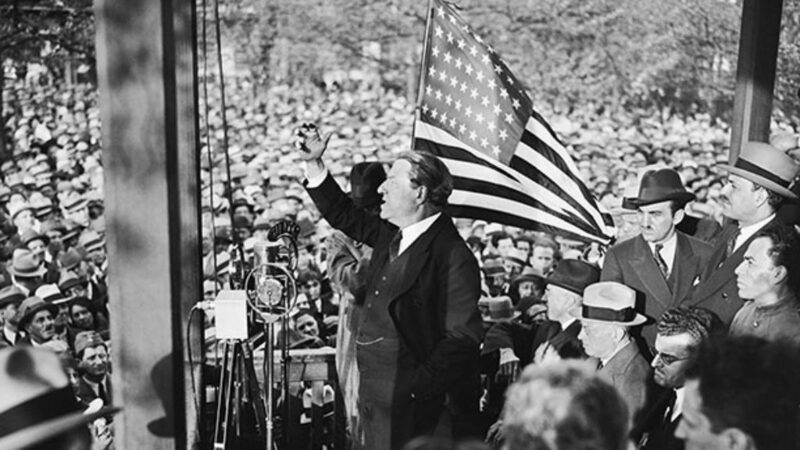 He pointed out that by Lowell’s logic, the way to eliminate anti-Semitism was to prohibit Jews entirely. In the event, the Harvard faculty rejected Lowell’s quota plan, but new admissions guidelines, which privileged the ambiguous categories of “character” and “fitness,” drove Jewish numbers below 15 percent by the 1930s. You must not confuse my brother’s point of view with that of the extremists. He likes the Jews himself personally, as I do, but he feels very strongly that there should not be segregations of Americans into various racial strains. He is much averse to keeping Jews out of the college clubs and much averse to their forming Jew clubs on their own. He thinks they should all mix together and have no distinction . . .
Extremists in 1922 meant the Klan and Henry Ford, whose newspaper series “The International Jew: The World’s Foremost Problem” had hundreds of thousands of readers each week. The Lowells were more subtle. “Private schools are excluding Jews, I believe,” Lowell cautioned Benesch, “and so, we know, are hotels.” Translation: Jewish alumni who don’t want Harvard to go that route had best acquiesce to a quota on Jews. When I arrived in 1965, fresh from the Yeshivah of Flatbush, Harvard was again one-quarter Jewish. My dormitory was adjacent to Memorial Church, and the ringing of its two-and-a-half-ton bell (personally donated by A. Lawrence Lowell) would knock me from bed at 10 a.m. and propel me to Lowell Lecture Hall just in time to hear Robert Lowell’s close friend, the playwright William Alfred, recite Beowulf in his dazzling tour d’horizon of English lit. My senior thesis, supervised by the Brooklyn-born historian of immigration Oscar Handlin, dealt with status anxieties among New York’s Jewish elites in the late 19th century. Upon hearing Robert Lowell’s profession of Jewish ancestry, I rushed to Widener Library to consult Malcolm Stern’s Americans of Jewish Descent: A Compendium of Genealogy (1960). Sure enough, his father’s mother was a granddaughter of Major Mordecai Myers, born in 1776, the son of Jewish immigrants from Hungary and Austria. It stood—just. Its last eminence was Lawrence, Amy’s brother, and president of Harvard for millennia, a grand fin de siècle president, a species long dead in America. He was cultured in the culture of 1900—very deaf, very sprightly, in his eighties. He was unique in our family for being able to read certain kinds of good poetry. I used to spend evenings with him, and go home to college at four in the morning. ago in her acclaimed memoir An Unquiet Mind. At Harvard, I was always on the fringes. . . . My father wrote a letter to me telling me I was not allowed to disgrace the Lowell family by leaving Harvard. My uncle Horace Lowell, a real anti-Semite if there ever was one, was president of Harvard, and I had to stay there. He was an only and unwanted child, rebellious, a prep school bully whose enduring nickname was “Cal,” short for Caligula. “It took Lowell’s parents most of his youth to recognize . . . [his] oppositional behavior,” writes Jamison, and that “the more tightly they tried to control him the more defiant he became.” They took him to his first psychiatrist at age 15. “He never was a natural child,” his mother Charlotte, a domineering woman of Mayflower stock, told one of his doctors. While still at Harvard, Cal announced his plans to marry a young woman his parents deemed inappropriate. A fight ensued, and Lowell knocked his father Robert to the floor. Ian Hamilton, author of a widely read 1982 biography of Lowell, dwells with relish on this and myriad other outrageous episodes in his life. Jamison faults Hamilton for sensationalism, arguing that he missed the admirable, courageous Cal, who transmuted his destructive illness into great art. But she too misses a crucial element. Her authoritative, wordy book, eloquent and humane, ignores Lowell’s fascinating spark of Jewish identity. Still, amid her myriad renditions of the poet’s mental states is a one-liner that reverberates like a Harvard church bell: “From childhood, Lowell felt himself to be of a different tribe from his parents.” That’s what he was saying that night at Hillel. I am writing my autobiography literally “to pass the time.” I almost doubt if the time would pass at all otherwise. However, I also hope the result will supply me with swaddling clothes, with a sort of immense bandage of grace and ambergris for my hurt nerves. The brilliant result was Life Studies, which broke poetic ground in 1959 with its liberated technique and “confessional” content and won the National Book Award. “I wanted a style and rhythm that could say anything that conversation or prose could say,” he later explained. Flanked by 23 poems was the book’s centerpiece, “91 Revere Street,” a prose memoir of his boyhood home. It began and ended with a portrait of a Jew. The account of him is platitudinous, worldly and fond, but he has no Christian name and is entitled merely Major M. Myers in my Cousin Cassie Mason Myers Julian-James’s privately printed Biographical Sketches: A Key to a Cabinet of Heirlooms in the Smithsonian Museum. The name-plate under his portrait used to spell out his name bravely enough: he was Mordecai Myers. 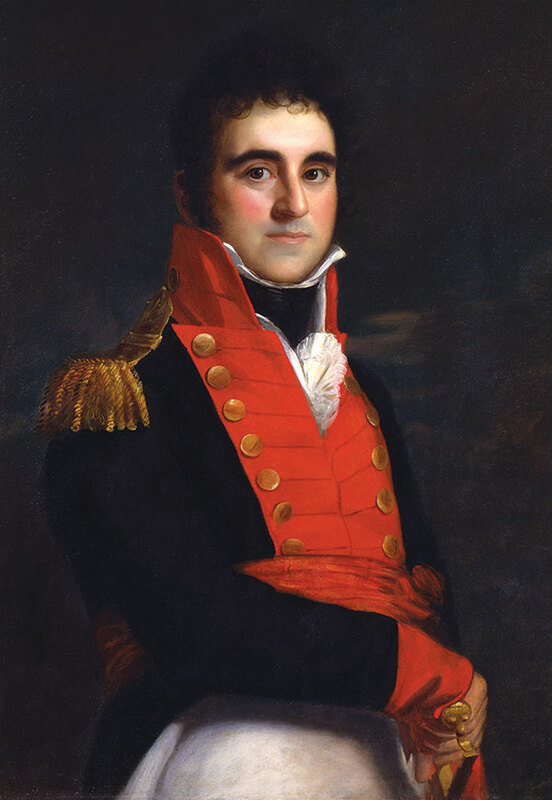 The artist painted Major Myers in his sanguine War of 1812 uniform with epaulets, white breeches, and a scarlet frogged waistcoat. His right hand played with the sword “now to be seen in the Smithsonian cabinet of heirlooms.” The pose was routine and gallant. The full-lipped smile was good-humoredly pompous and embarrassed. Undoubtedly Major Mordecai had lived in a more ritualistic, gaudy, and animal world than twentieth-century Boston. There was something undecided, Mediterranean, versatile, almost double-faced about his bearing which suggested that, even to his contemporaries, he must have seemed gratuitously both ci-devant and parvenu. He was a dark man, a German Jew—no downright Yankee, but maybe such a fellow as Napoleon’s mad, pomaded son-of-an-innkeeper-general, Junot, Duc D’Abrantes; a man like mad George III’s pomaded, disreputable son, “Prinny,” the Prince Regent. . . . Mordecai Myers was my Grandmother Lowell’s grandfather. His life was tame and honorable. . . . My mother was roused to warmth by the Major’s scarlet vest and exotic eye. . . . Great-great-Grandfather Mordecai! Poor sheepdog in wolf’s clothing! In the anarchy of my adolescent war on my parents, I tried to make him a true wolf, the wandering Jew! Homo lupus homini! Myers appears here as both a has-been and an upstart. He’s perhaps a madman. But most of all, a wandering Jewish wolf, a weapon in the war against Lowell’s Brahmin parents. The Roman proverb Homo lupus homini means “man is wolf to man” and was quoted by Freud in Civilization and Its Discontents. Here is how Jamison reads this pregnant passage: “Lowell contrasted the Puritan legacy left him by the early Lowells and Winslows with the lighter, more recent one of his great-great-grandfather Myers.” She does not mention that the apotheosized Myers was a Jew, which is why, of course, he never judged a Salem witch, or saw the world through Christian allegory—and dealt in used furniture. But surely Lowell’s graciously accepted Jewish inheritance is a critical piece of his psychological furniture. “I’m one-eighth Jewish and seven-eighths non-Jewish,” he once told the Anglo-Jewish critic Al Alvarez. “The two thinkers, non-fictional thinkers, who influence and are never out of one’s mind are Marx and Freud.” Was that his “lighter” legacy? 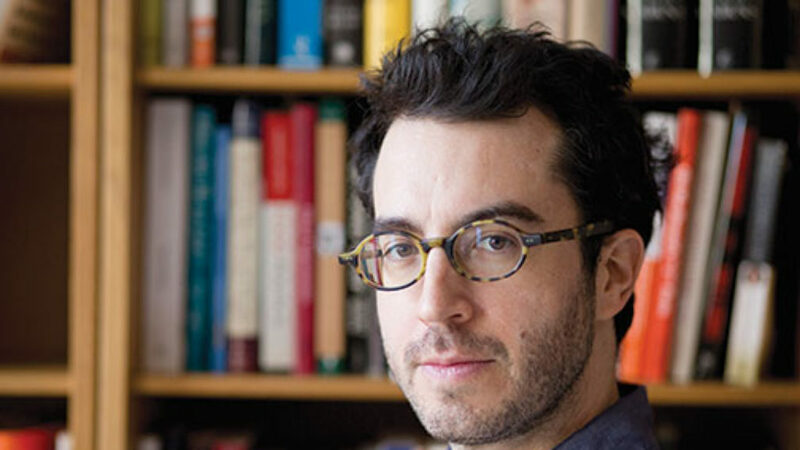 The Gentile of American Puritan stock who puts himself in contact with the Hebrew culture finds something at once so alien that he has to make a special effort in order to adjust himself to it, and something that is perfectly familiar. The Puritanism of New England was a kind of new Judaism, a Judaism transposed in Anglo-Saxon terms. . . . When the Puritans came to America, they identified George III with Pharaoh and themselves with the Israelites in search of the Promised Land. . . . I have recently been collecting examples of the persistence through the 19th century of the New Englander’s deep-rooted conviction that the Jews are a special people. 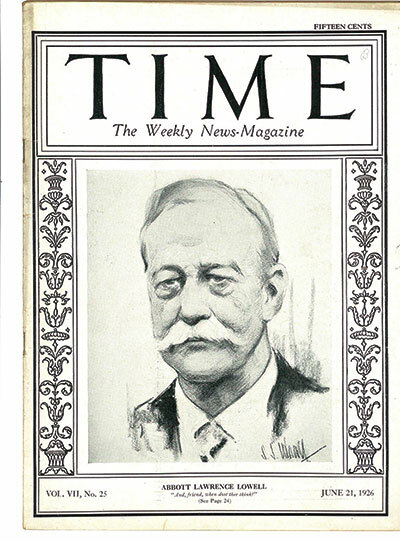 “Though Lowell admired the Jews,” commented Wilson, “he conceived them as a power so formidable that they seemed on the verge of becoming a menace. In this vision of a world run entirely by Jews there is something of morbid suspicion, something of the state of mind that leads people to believe in the Protocols of Zion.” More than most, Wilson understood the treacherous interplay of anti-Semitism and its sneaky twin, philo. Robert Lowell variously described his forebear as an “urbane man of letters,” a “spry deflater of the outsider”—e.g., Whitman and Mark Twain—and “a poet pedestalled for oblivion.” When Lowell spoke with the Paris Review at his home on Boston’s Marlborough Street, the interviewer, Frederick Seidel, noticed two portraits of poets on the walls of his study: the elder Lowell and a more notorious anti-Semite, Ezra Pound. I could not believe what he was doing. He was clicking his heels like a Nazi and goose-stepping toward me. Cal lunged at my throat, throwing me down on the floor. . . . The angel was gone. Lucifer took the angel’s place . . . “I’m Hitler and you’re a Jew, and I’m going to kill you,” he said, putting his strong hands around my neck. I managed to lie still until he took his hands off my neck, and then he passed out. . . . For a terrible moment, I thought he was dead. Did it happen? It certainly could have. He fought often with his first wife, the novelist Jean Stafford, and once tried to strangle her. Hannah wasn’t there and most of the talk went against her. One was suddenly in a pure Jewish or Arabic world, people hardly speaking English, declaiming, confessing, orating in New Yorkese, in Yiddish, booing and clapping. . . . Well, it was alive, but very rash, cheap, declamatory etc. a sort of mixture of say Irish nationalists and an Alcoholics Anonymous meeting with contending sides. Jewishness, and not just of the New York variety, is the theme of today’s literature as the Middle West was the theme of Veblen’s time and the South in the Thirties. These regions have burnt out, and now we’re lucky to have the Jewish influence. It’s what keeps New York alive; not only writers and painters but also the good bourgeois who support the arts. . . .
Do I feel left out in a Jewish age? Not at all. Fortunately, I’m one-eighth Jewish myself, which I do feel is a saving grace. It’s not a lot of Jewish blood, but I think it would have been enough to come under the Nuremberg laws. My Jewish ancestors, oddly enough, were named Moses Mordecai and Mordecai Moses. These lines cry out for commentary. Why the social scientist Thorstein Veblen and not a literary figure? I’m guessing that Lowell recalled Veblen’s famous essay of 1919, “The Intellectual Pre-Eminence of Jews in Modern Europe,” and identified with its thesis of Jewish excellence born of marginality. Why “Mordecai Moses” when the Lowell great-great-grandfather was actually named Mordecai Myers? And who’s this Moses Mordecai? In a poem called “Searchings,” first published in Notebook 1967–68, he wrote: “I dreaming I was sailing a very small sailboat, / with my mother one-eighth Jewish, and her mother two-eighths, / down the Hudson, twice as wide as it is, wide as the Mississippi . . .” According to Malcolm Stern’s genealogy book (now updated and online), Moses Mordecai, son of Jacob and Rebecca, was born in New York in 1785. He moved to North Carolina, married Ann Willis Lane, and begat Margaret Mordecai, who married John Devereux, whose daughter Mary married the Mayflower descendant Arthur Winslow, Robert Lowell’s grandfather. Thus Lowell’s mother Charlotte Winslow was the great-granddaughter of Moses Mordecai, making her an eighth Jewish. So Robert Lowell was one-sixteenth Jewish on each side, an eighth in all. But to qualify for the Holocaust is a “saving grace”? Did he even meet the Nuremberg criteria? Technically, maybe not. But for the mad, genius poet, this “very small sailboat” on the Hudson was enough to keep him afloat on the Upper West Side of Manhattan. Robert Lowell gave off at times the unwilling haunted saintliness of a man who was repaying the moral debts of ten generations of ancestors. So his guilt must have been a tyrant of a chemical in his blood always ready to obliterate the best of his moods. [A]s you must know, he goes off his head periodically in winter, and although he is a wonderfully clever, fascinating, touching, distinguished and in every way remarkable man . . . [he] is the hero of the anti-Vietnam movement now, so the usual mechanical treatment which is accorded to such visitors . . . will produce appalling results. Do not think I exaggerate, for I am not exaggerating. Can you do anything to stop the Foreign Office from attaching some mechanical young woman to him who will din the glories of the country into his ears patriotically, sincerely and disastrously? . . . I shall no doubt be here when he comes back, and I anticipate, if not the worst, certainly not the best—and remember that his most intimate friend in New York is Miss Arendt, whose view on Eichmann etc. he shares entirely. But I have the shakes. . . . God, have mercy on me may I not die far from you! . . .
I’ll see a doctor in a few minutes. I only pray to God that I see you and Harriet again, dearest! In Christian tradition, Hakeldama is the site in Jerusalem’s Valley of Hinnom where Judas Iscariot hanged himself, hence named “Field of Blood.” No wonder Lowell seized on the image. Did he set foot there? Ian Hamilton tells us next to nothing about his activities in Israel. Fittingly, the fullest account we have comes from a book of Hebrew poetry. The Jerusalem poet Harold Schimmel, born in New Jersey, educated at Cornell, made aliyah in 1962 and began writing in Hebrew. 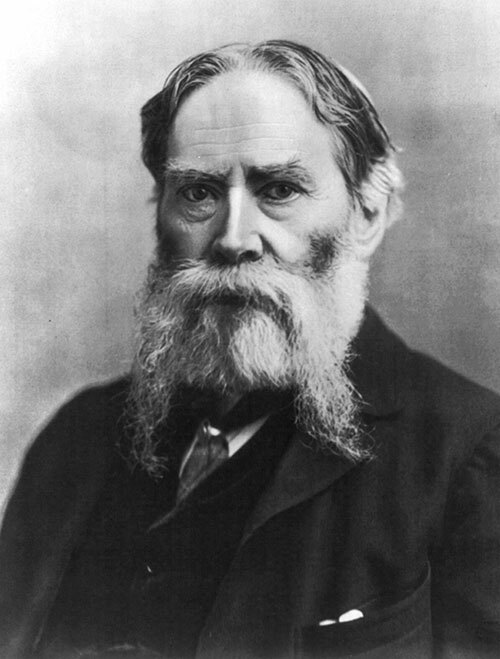 He had overlapped with Lowell in Boston and New York, and spent time with him in Israel. In 1986, he published Lowell, a book of 100 Hebrew sonnets in free verse, the last third of which are set in Israel. “You had a weakness for Jewish women,” Schimmel wrote, citing Sandra Hochman by name. At Kibbutz Ayelet Hashachar, gin and tonic in hand at 10:30 a.m., “You spoke of your ‘natural inclination to Jews.’” The Sea of Galilee: “‘How can it be so small?’” “In Sde Boker you visited BG”—the English letters appear in the Hebrew line—and discussed “Dayan and Golda,” history, and the Bible. Visits to Meah Shearim, Holy Sepulchre, Abu Ghosh, Nazareth. “Your secret refuge”: the Golden Chicken restaurant in East Jerusalem. A tour of the Israel Museum with Teddy Kollek. A dizzy spell at Masada. At a small gathering, “You pinched the poet / Lea Goldberg in the kitchen she complained about / the chutzpah of visiting gentiles who drink themselves silly . . .” Did that actually happen? It does sound like Lowell. jolting between salvation and demolition . . .
the ways of Israel’s God are military . . .
“Jolting between salvation and demolition”—the manic-depressive core of the Israeli and Jewish story. 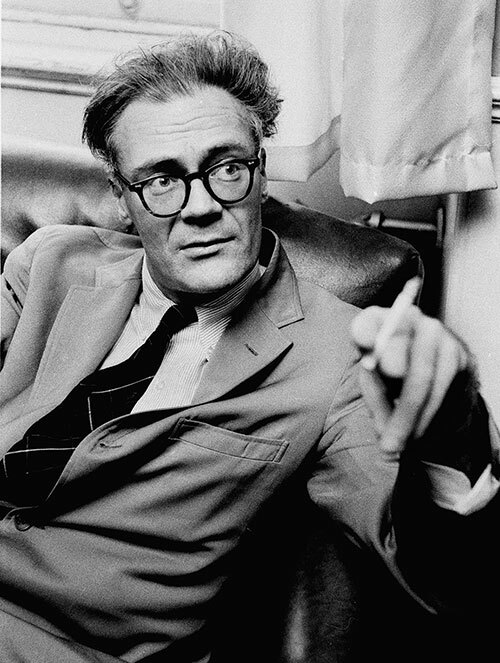 How could a man like Robert Lowell not identify with the Jews? Recall Major Myers in his scarlet waistcoat and Lowell’s fascination with blood, his own not least. Think of him kindly in the end: a romero, a wandering Puritan pilgrim, one-eighth Jewish, in fitful pursuit of his promised land. Stuart Schoffman worked as a staff writer for Time in New York and a screenwriter in Hollywood before moving to Jerusalem in 1988. His translations from Hebrew include books by A. B. Yehoshua, David Grossman, and Meir Shalev. the writer asked him what he'd learned. can't faithfully be Grecian urned. was a distinguished Jew of whom there is a critically-admired painting. He was Mordecai Myers. Stanley Kubrick was a New York Jew, fascinated with photography, jazz, and chess. He took evening classes at City College and studied at Columbia with Lionel Trilling.